Life is a bit crazy at the moment. My husband has a slipped disc and is off work. He’s unable to sit so has to lie on the bed, floor or stand which also causes him pain. He’s desperately missing cycling but the Tour de France has helped a bit. My daughter (now 16, how did that happen?) has gone to Australia for the summer. However her plans of swimming, surfing and other sports have been dashed as she has been diagnosed with misaligned hips and tendon damage from the 6 years she spent as a competitive swimmer and made worse by too many hours at the gym (she & I often go to the gym together and she loves exercising). So she is also laid up but far away from home. She spent over a year working (2 paper rounds before and after school) and saving for this trip which makes it even worse for her. I’m full of cold which compared to the others is nothing but it’s making me feel miserable. Oh slipped discs are never good. My hubby has one that tends to pop out every couple of years and cant even walk when it happens. I hope he recovers soon. Your daughter will be waiting a little while for the summer weather here as it really doesnt start until November so I hope she recovers by then to go swimming and surfing. 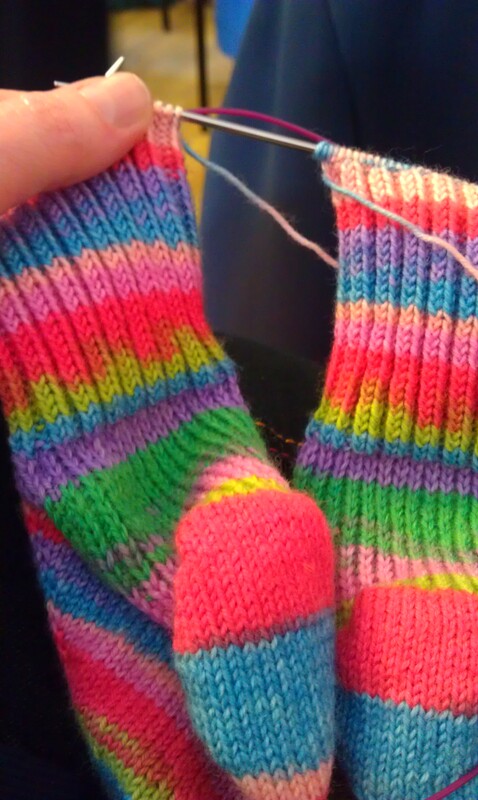 I really like your rainbow socks. Doesnt your dog look great with a haircut. I wish I could give my Jack Russell a trim as she is long haired but I keep getting told not to cut her so she just gets a little trim around her eyes so she can see! Thanks Sue. DD will be home early September but even though it’s your winter the weather is still much better than our summer. It’s a washout this year. Re your JRT have you looked into having her stripped? Sue, unless you’re showing her, go ahead and have her groomed how ever you like. 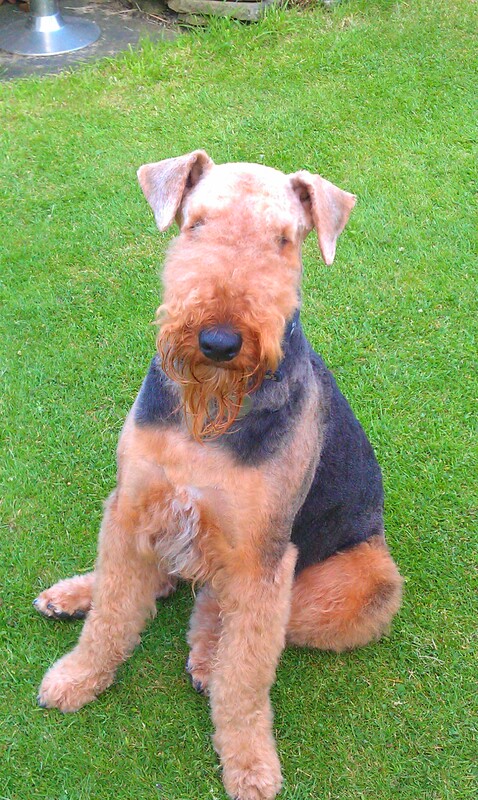 For example, my SIL has an Airedale, but they keep his legs clipped short due to some sort of nasty weed in Arizona mountains. Bummer on all fronts, except Oscar, clearly he’s happy with his world!